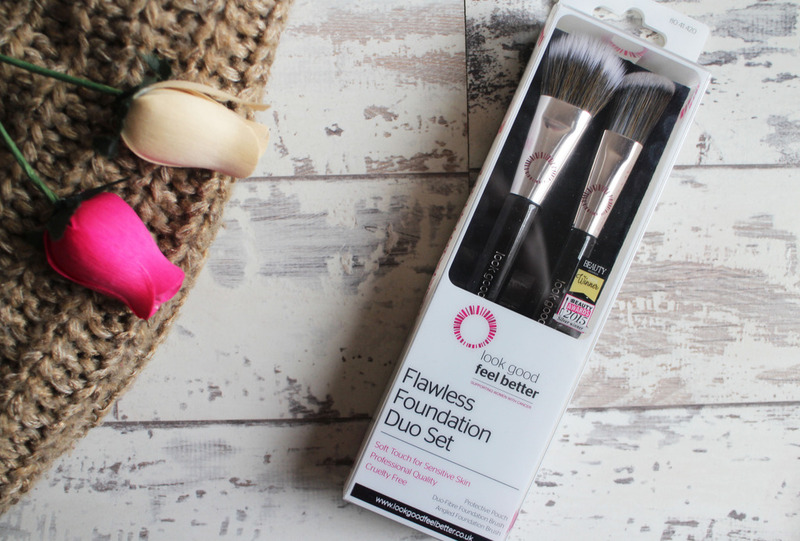 I'm always looking for different ways to apply my foundation so when i saw the opportunity to review the Look Good Feel Better Flawless Foundation Duo Brush Set, i decided it was to good an opportunity to miss out. I've been using beauty blenders (cheaper alternatives) and sponges for a while now but recently i feel like there just not giving me the results that i want so this opportunity came at the perfect time. 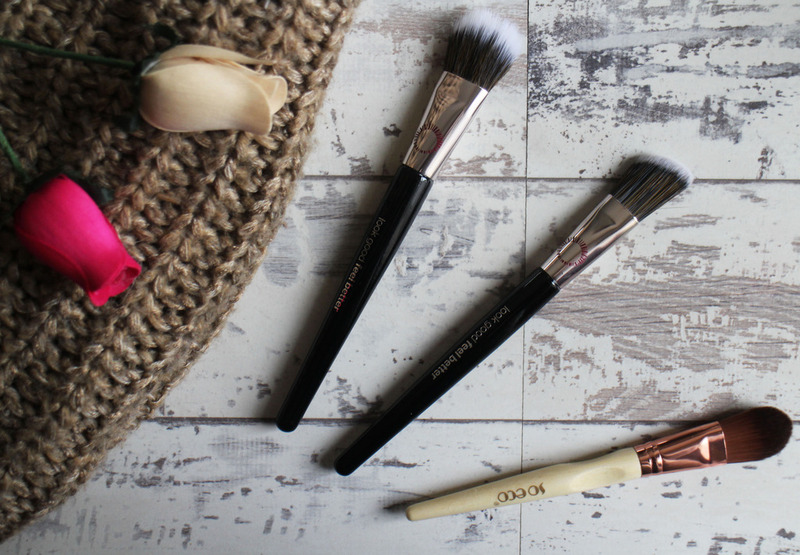 I'd never heard of Look Good Feel Better before trying these brushes but it has the most wonderful aim behind their products; LGFB is a worldwide cancer charity that provides support to woman and teenagers who struggle with the visible side effects of cancer treatment. A lot of Cancer charities focus on supporting the research to find cures etc... which is obviously very important but i love that this charity is supporting people who struggle with the visible side affects that come with cancer. Look Good Feel Better have a whole range of brushes available; each of which sale donates a portion to the charity and their latest release is the Look Good Feel Better Flawless Foundation Duo Set* which has been created to give you everything you need to get the perfect coverage and a flawless base. 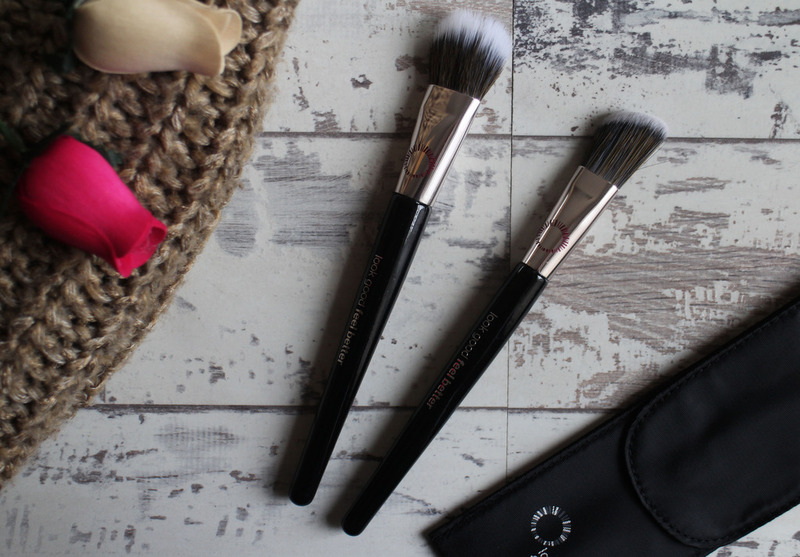 The set comes with two brushes; first is Look Good Feel Better Duo Fibre Foundation Brush* - it's lovely and soft and as it's a duo fibre brush is has fibres blended into the top of the brush which help to really blend in the product to give an airbrushed finish. 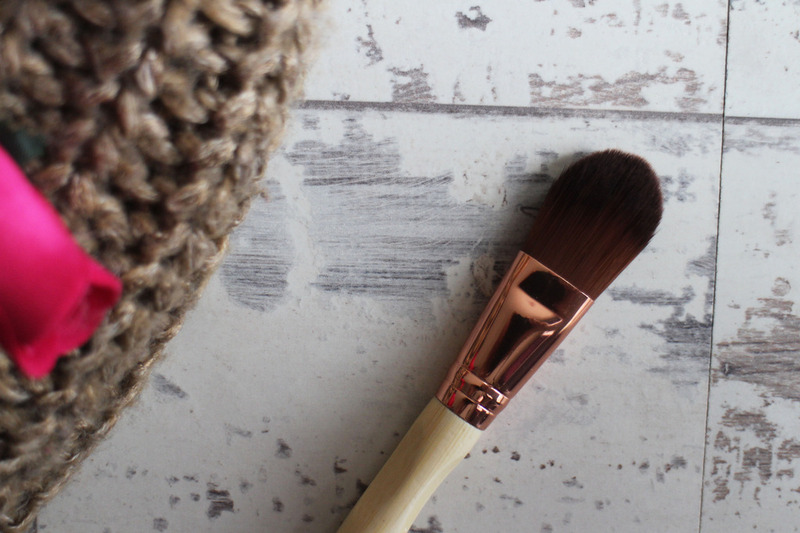 I've been using this with the Milani 2 in 1 Conceal and Perfect Foundation which has quite a heavy coverage and with this brush it's quite the dream team. 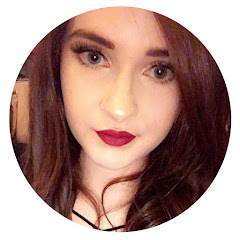 I was actually quite impressed with the results - it buffed in the foundation really nicely and left my skin with a really flawless finish. 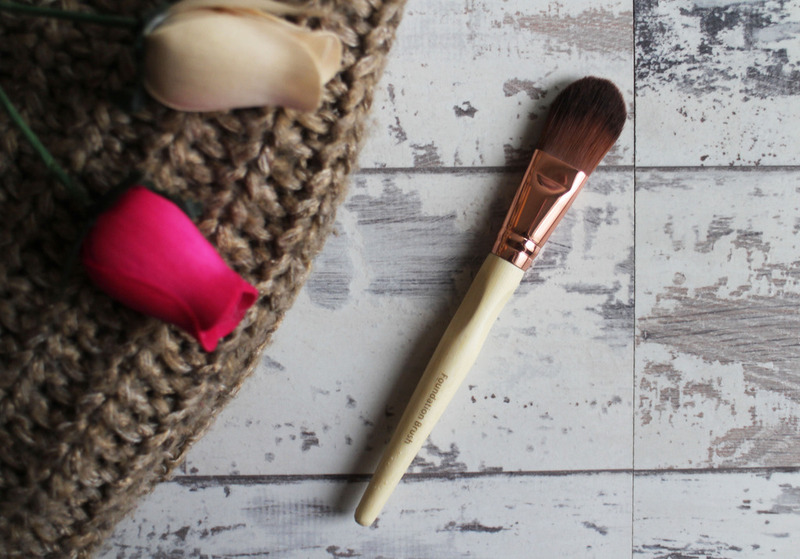 I honestly expected the Look Good Feel Better Angled Foundation Brush* to be my least favourite brush out of the three I've test but it's actually been my favourite. I've been using this with the Rimmel Wake Me Up Foundation and with this brush it just works really well. It's flat brush which helps to pack on and apply the product but the angle really helps to get into those smaller parts (i.e. under the eye, around the nose) - I didn't expect this to be as good at blending out due to it being a flat style brush but it's actually really impressed me, it blends it out to give a lovely flawless base. I don't know how you'd use these together as a duo but as individual foundation brushes i really like them both. I purposely tried this with different foundations and both gave amazing results. 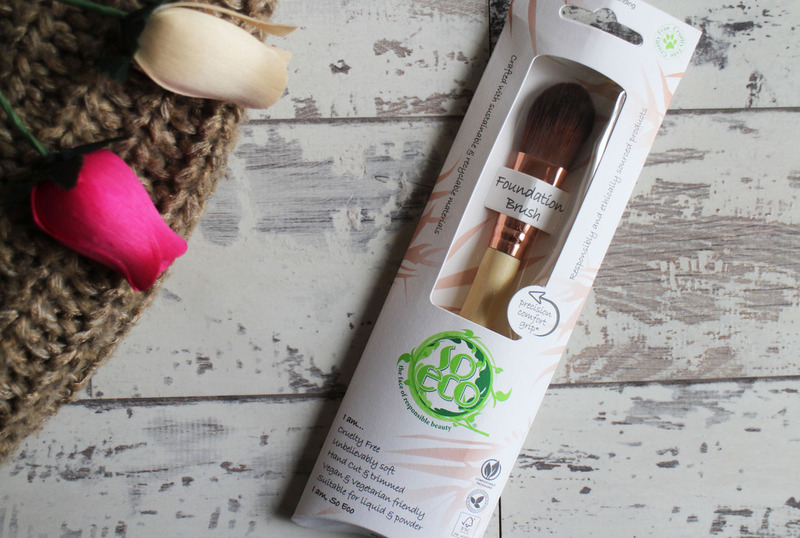 I was also very kindly sent the So Eco Foundation Brush* to try along with the LGFB Foundation duo - out of the three this is my least favourite brush, mostly because I'm not a massive fan of flat foundation brushes as i find they tend to give a heavier finish and i don't always feel like it's blended in enough. I used this with the YSL Youth Liberator Foundation Serum, it applied it really nicely and again did give me a smooth and flawless base but i did go over it with another buffing brush just because i felt i needed a little extra blending. That being said it is a lovely brush, i feel like I'm gonna use this more for concealer though - i also really like that the brush has like ridges in the handle to make it more comfortable to hold. 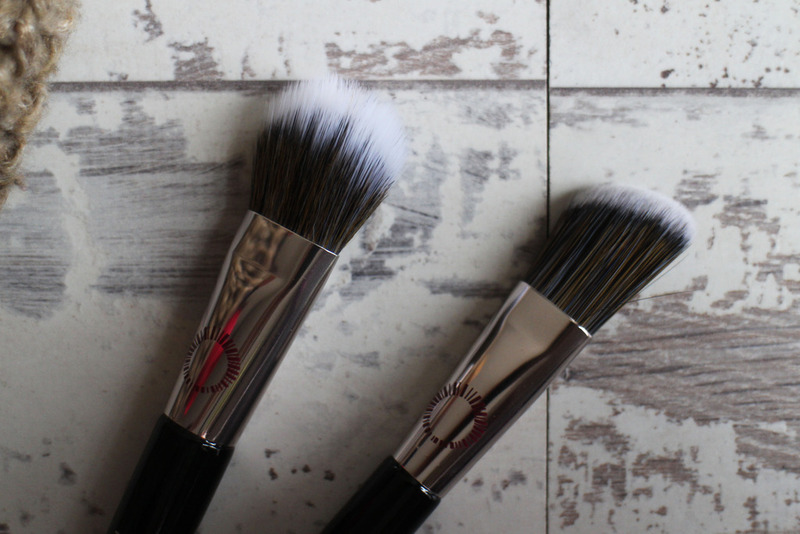 The LGFB Angled Foundation Brush has proved to be my favourite but I've liked all these brushes for different reasons and all three are definitely worth looking into - I've not washed them yet so i can't comment on how well they wash. All three brushes are lovely and soft and they feel really pleasant to use against the skin and they are all cruelty free.